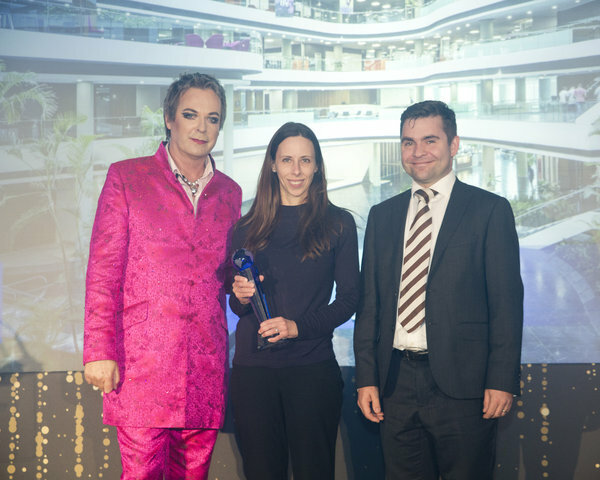 Interior architecture company Paragon Interface, part of the Paragon Group, was declared Office Design Winner for 1 Discovery Place in Sandton at the prestigious SBID International Design Awards 2018, held at the Dorchester Hotel in London in the UK on 26 October. 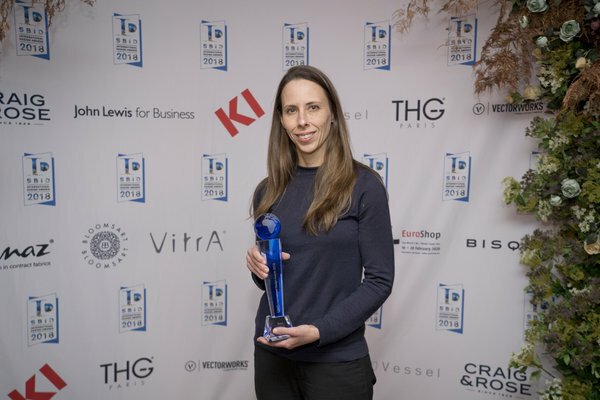 Billed as the most prestigious awards event on the global interior design calendar, the entries in the 14 categories are subjected to a strict three-tier judging process to ensure all entries are carefully scrutinised for their technical standards and creative calibre. The SBID International Design Awards celebrate all aspects of great design, from aesthetics to functionality. The first round of the three-tier voting system is judged by a specially-selected technical panel of experts. Each year, the group consists of professionals working in many areas of design and industry. The individuals are highly knowledgeable about the latest industry standards and technical innovations. This includes ensuring that every entry adheres to industry standards and is genuinely fit-for-purpose. The next stage is assessed by an expert panel of judges, with the public contributing 30% of the vote. 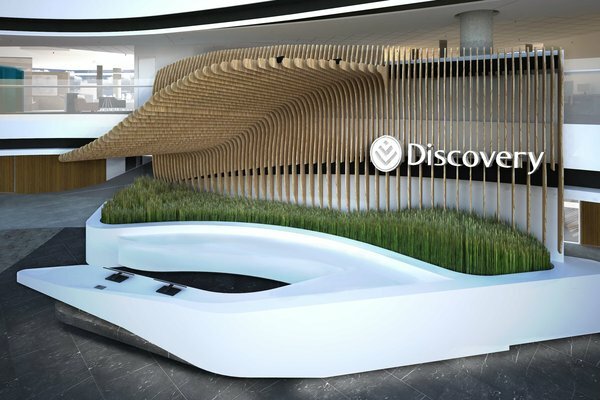 The judges’ citation for Discovery’s new head office highlights the main entrance as being open and welcoming, thereby reflecting the corporate values of the client. Internally, the building is divided into three main atria, namely a central atrium, and one each on the left and right side. 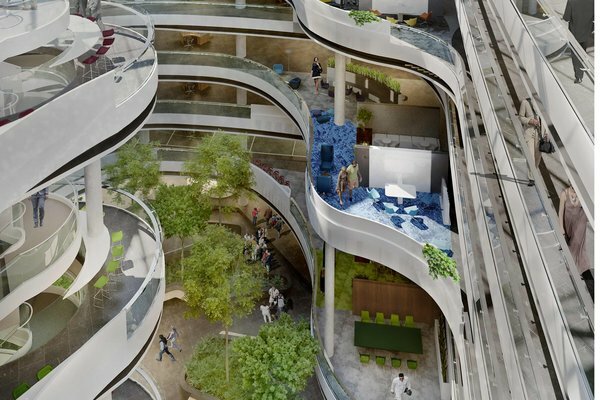 The central atrium allowed Paragon Interface to explore the concept of a concourse, driven by Discovery’s requirement for the building to be active. This was not only translated effectively into a dynamic design aesthetic, but also into an active public street populated with seating areas, cafés, streetlights, and tree canopies. The 130 000 m2 Phase 1 was completed in October 2017, and Phase 2 in April 2018. 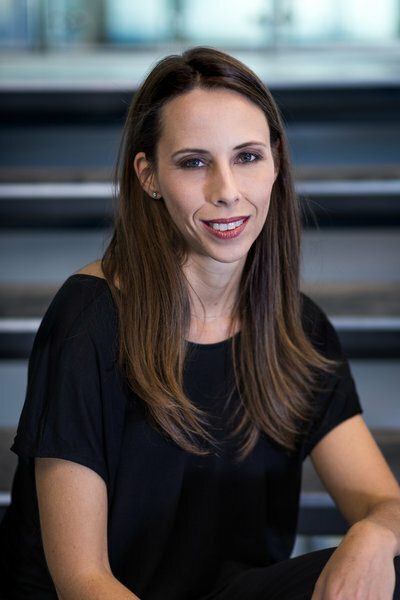 “It presented tremendous opportunities for us in terms of the tenant’s willingness to explore quite a dramatic design, and one that incorporated new design strategies to drive significant changes to their dynamic workplace culture,” D’Adorante highlights. 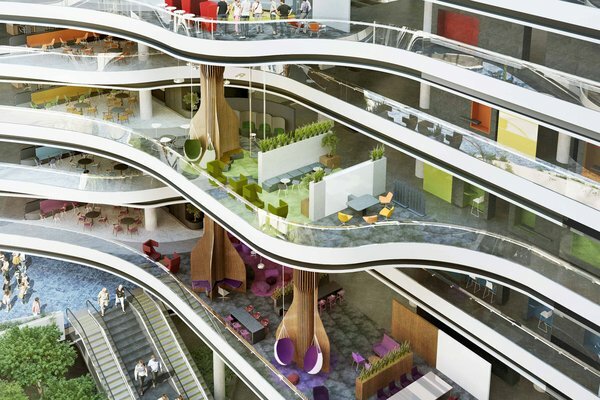 The swooping, curving patterns and shapes that define the architectural identity of the building not only influenced the interior, but has resulted in it becoming one of the most progressive workspaces in South Africa. “Instead of being a faceless corporate space, what we achieved here is inviting and welcoming, as well as calming and uplifting. We could only have achieved this through our closest attention to the smallest of details, which took the macro level in terms of the architecture through to every single aspect of the final building,” D’Adorante concludes.